Running 5/12 – 5/18 Stop & Shop, Giant, and Martin Have Ritz Crackers on sale for $1.99 each wyb 4! We have a $0.75/2 Ritz Boxes Ritz Crakers any variety 8.8oz or larger, from the Regional 4/09 Smart Source insert available. We can pick up 4 boxes use 2 coupons and pay a total of $4.96! 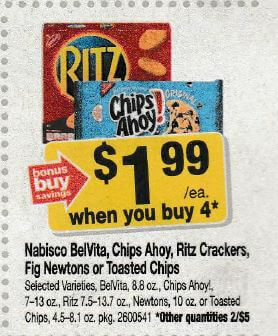 We also have a $1/2 Ritz Crackers excludes Crisp & Thins any variety, Checkout51 Rebate available. After stacked offers pay just $0.99 each! 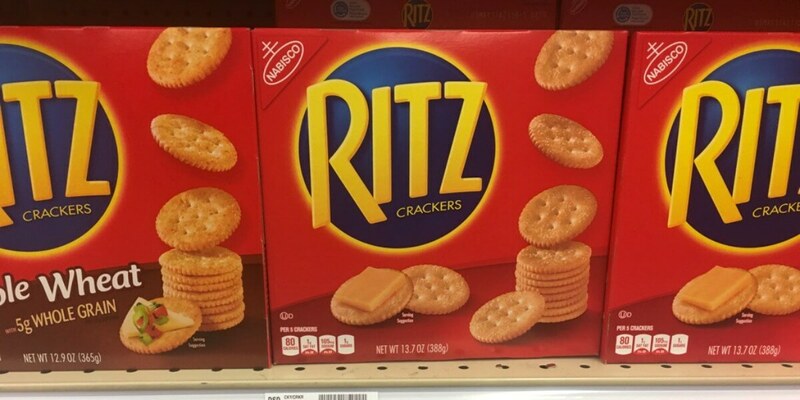 Giant – Martin Shoppers we set you up with a similar deal, you’ll score the Ritz Crackers for $1.24 each after stacked offers!